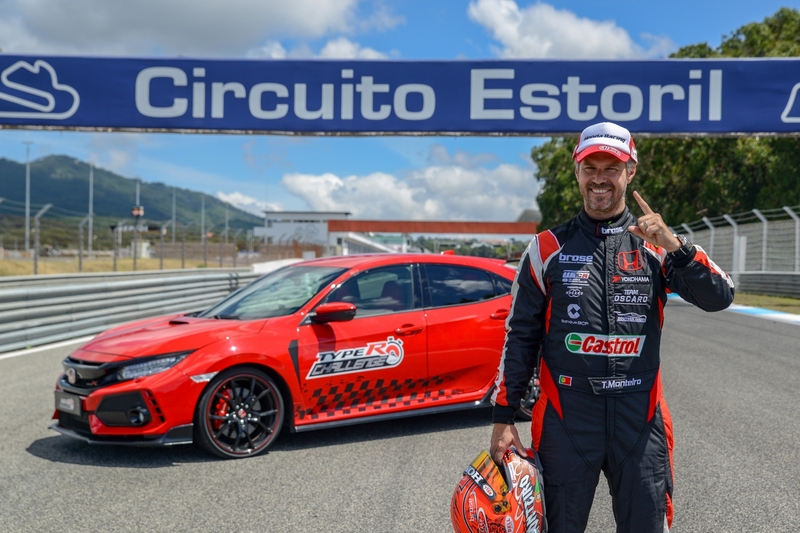 Honda WTCR driver, Tiago Monteiro piloted the turbocharged hothatch around the 2.6 mile circuit. After setting lap records at the Nurburgring Nordschleife, Magny-Cours, Spa-Francorchamps, and Silverstone, the Japanese manufacturer is at it again. 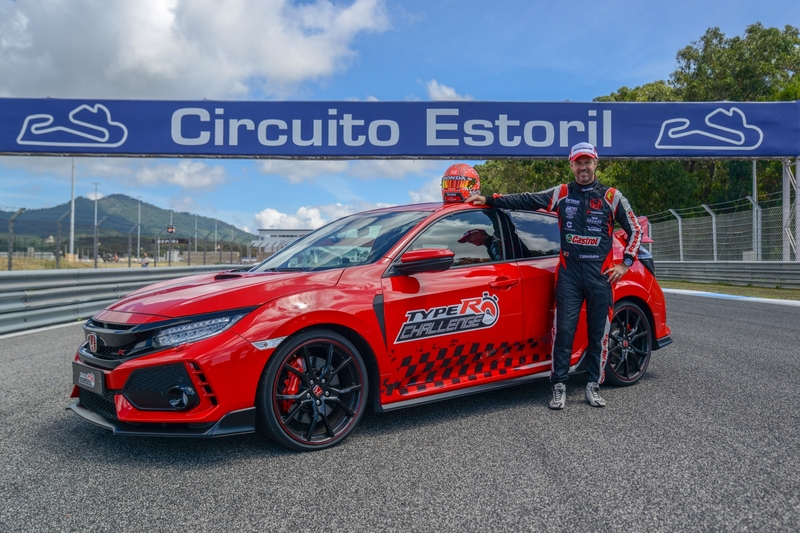 Honda set a new lap record for a front-wheel-drive production car with the Honda Civic Type R at the famous Estoril circuit in Portugal clocking a time of 2:01.84. The hothatch was piloted by the expert hands of Honda WTCR driver, Tiago Monteiro. The legendary Estoril track, officially known as Autódromo Fernanda Pires da Silva, is 2.6 miles long with 13 turns including two hairpins, a chicane, and a very long main straight, giving vehicles like this very-capable Type R with its 2.0-litre VTEC Turbo that produces 316 horsepower and 295 pound-feet of torque, the perfect opportunity to showcase its dynamic abilities in a broad range of speeds in a single lap. 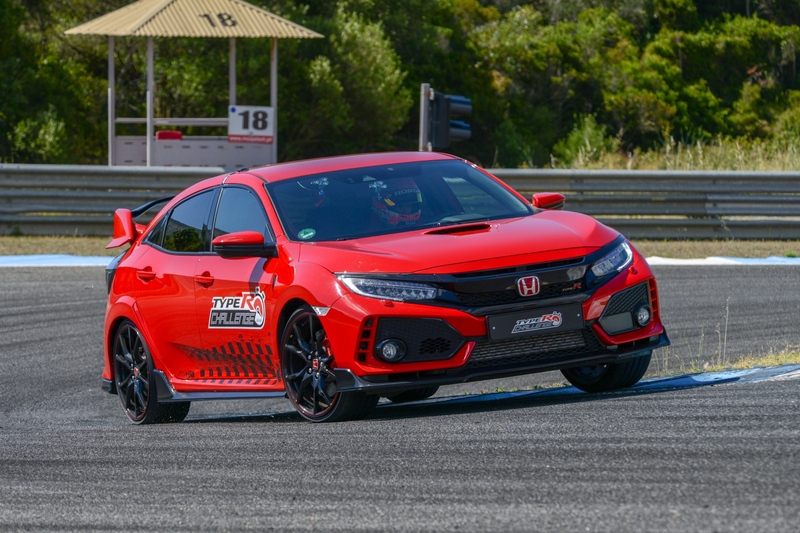 The new lap record at Estoril is the fourth front-wheel-drive lap record set by Honda in 2018, which forms part of a bigger five circuit challenge it has tasked the Civic Type R with. Not too long ago, the hothatch also claimed the fastest times at Magny-Cours, Spa-Francorchamps and Silverstone. You can catch all the tire-screeching action in the video below. The first of five 'Type R Challenge 2018' record-breaking attempts is completed. The big-winged Civic lapped Silverstone's GP circuit in 2:31.32, the fastest time ever for a front-drive production car. The Type R Challenge aims to set benchmark lap times at several iconic race tracks, including Spa. Estimated CO2 saving is a massive 40,000 tons over the lifetime of these vehicles.